We’re a few days into New York Fashion Week and even though I’ve decided to skip this season, Ive been keeping up with all the trends both on and off the runway! Temperatures may be falling below 40, but nothing’s stopping the most fashionable celebs, influencers, models and NYC locals from showing off their style. 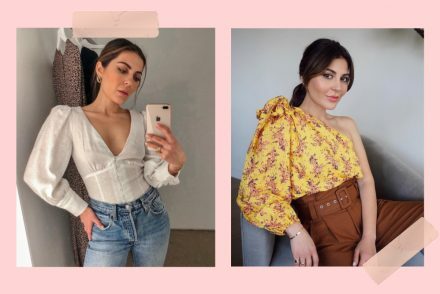 I’ve put together a list of coolest trends I’m seeing on the streets and some affordable ways you can wear them right now. 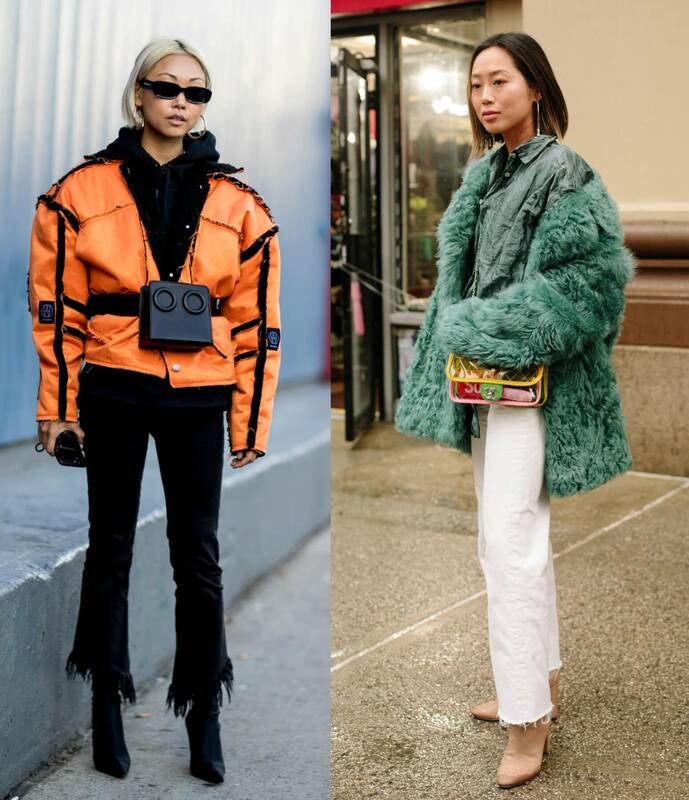 It’s freezing in NYC and thankfully the street style stars seem to be keeping warm in one of this season’s 90s revival trends- the puffer jacket. 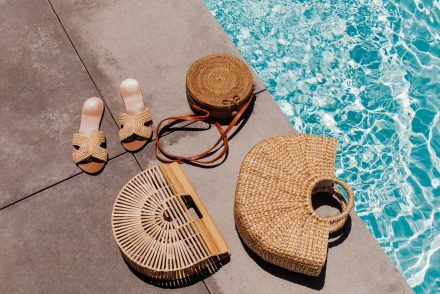 Balenciaga may have officially brought it back, but there are tons of practical brands that have made some equally cool ones (thanks H&M!) I’ve seen so many people rock bright-colored and metallic puffers and I’m definitely thinking of trying one when the weather decides to cool down in LA. See my picks linked below! I’m soooo excited I’m seeing the belt bag trend all over NYFW because I just caved and bought the Prada belt bag I’ve had my eye on for MONTHS (see how I wore it here). This is a total investment piece, but of course you don’t need to spend big bucks to try this versatile trend. I also am super into the vinyl bag trend I’ve been seeing all over the streets at Fashion Week. I’m thinking I need to get my hands on one of these clear bags ASAP! I love check print right now and happy that I already have a tailored blazer in this print. I’ve worn it so much this season, but have definitely got some major inspiration on different ways to style it. Contrasting a check print suit with some Dr. Martens? Count me in. As seen on it-girl Gigi Hadid and my girl Aimee Song, the monochrome trend ain’t going nowhere. There’s something about wearing the same color from head to toe that makes an outfit instantly look chic and elevated. And the best part is, there’s no limit to how you do monochrome. 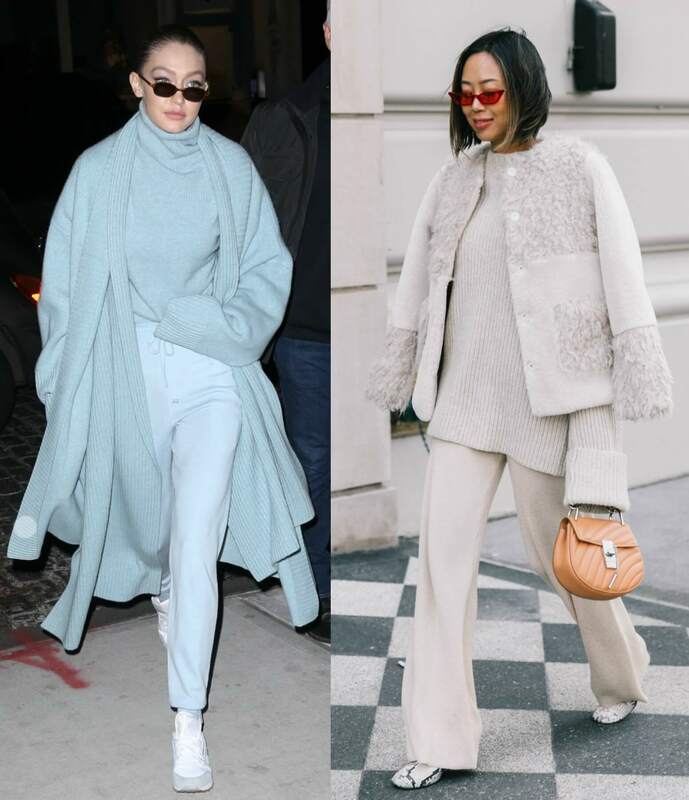 Whether you want to keep it neutral like Aimee or bring in some color like Gigi, I’ve linked my favorite look-alikes below! If you guys are overwhelmed with all the NYFW trends and outfit inspo, don’t worry because I did all the work for you! 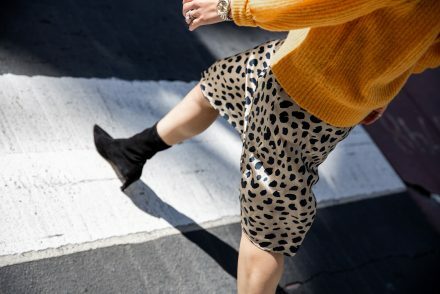 I looked through tons of street style shots to pick the coolest and easiest trends you can try out in real life. Which NYFW-inspired trend are you looking forward to trying? Let me know in the comments! THE Only trend I will probably not follow is the puffy jacket, cause I have large hips and little waist so I don’t think that will be nice on me !! But for the 3 others I’m so into them I love all of them !!! I think it looks cute on anyone babe, you should try it! Right!? Sometimes it’s nice to not have to carry your bag with you everywhere! Happy you liked the post babe! Thanks babe, you’re so sweet!! And aren’t these styles cute?! The puffer jacket looks so cozy too! 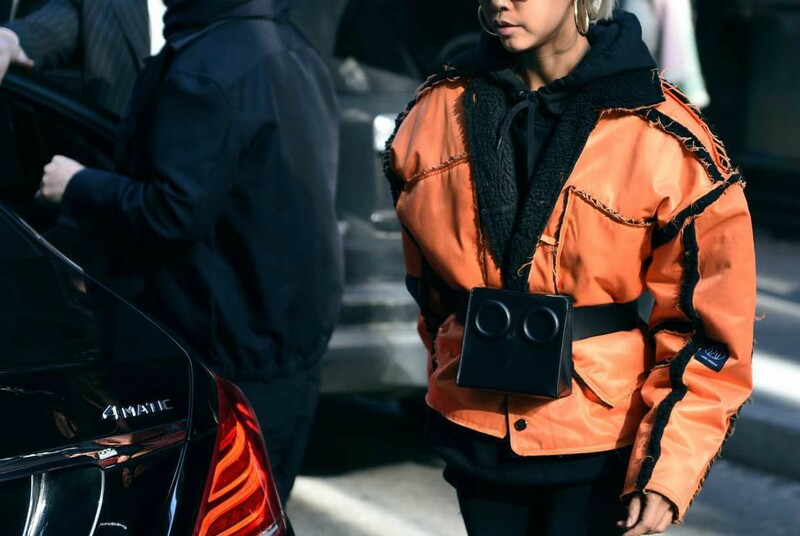 Omg yes, I see the belt bag trend everywhere and it’s really nice. Also, i love your prada bag? Thanks love, love the belt bag trend! I love reading your blogs, following you on insta and checking out your videos. The BEST thing that makes me the happiest is – the fact how your husband supports you with everything and he is right by your side. Love seeing your insta stories. More power to you both! And respect to him for supporting and standing by you! It’s just like the way my husband is with me! Thanks for your love and support babe! I love monocromeeee mostly all black all the time haha <3 and checker print yesss i can pull out my plaid skirt from high school!!! honestly you look great with ur new belt bag But i would look AWFUL haha <3 i love when you do fashion posts!!! Girl, it is such a cute style! You can definitely pull it off. Try it for me! Thanks babe!! Which #CaliGlow shade did you pre-order?! I love seeing all the NYFW pics too love. And I love that you already have the checkered pieces, so cute!! All of them are great styles! Need to try them out… Thanks for the tips as always! Of course love. 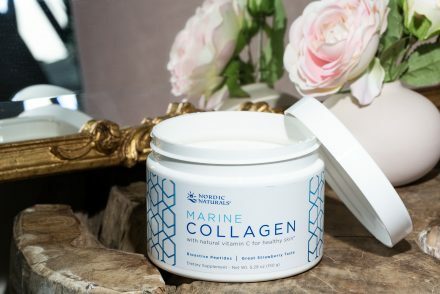 I am excited for you to try them, they’re all so cute! I wanna try Vinyl Bag look. They’re so trendy but I haven’t tried it look. excellent post Sona. I love monochrome style and i am looking forward for it!! Also the belt bag is my favourite at the moment. Ahhhh, don’t even get me started on the monochrome. Love that look so much! Tag me on IG when you wear that outfit so I can see! Do it babe! You only live once! Puffer Jacket is my favorite. I think is a easy trend to use everyday and comfirtable style. Saludos desde Perú! ? So true, comfy and cute is the perfect combo! I loved the checked blazer trend. I would totally wear it how the picture of the affordable link has it. Jeans, white top, and the blazer ??? So cute babe!! Love that idea! Monochromatic looks are everything! I love how chic you can look matching similar color hues. I agree love. It’s such a cute style, especially as Spring is coming so soon! Love the post!! It’s so nice that you just have to come to one place for all the current trends..? loving the checkered jackets!! Thanks Monica!!! Isn’t the checkered style so cute?! I love how you can dress it up or dress it down!